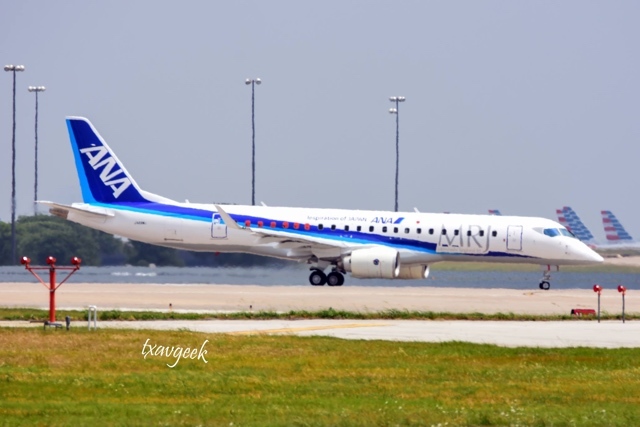 One of the Mitsubishi Regional Jet (MRJ) test frames (JA23MJ) made a short stop at DFW today. Our friend Caulun Belcher was lucky enough to get a shot at Founders Plaza, and we are grateful to him for sharing it with us here. Check out his [url=https://www.instagram.com/txavgeek/]Instagram[/ur] page here for tons of his great shots!